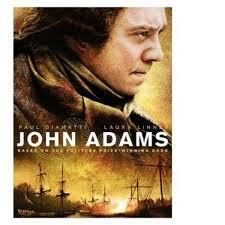 John Adams was a great reader himself, no doubt he might have appreciated this blog project. So, in honor of our country’s independence, I picked up John Adams by David McCullough this weekend, and ploughed right through it… finally. My mom had given me this book years ago, and I read about half of it, but never finished. Life got in the way. Well, that is no longer an excuse, so I started all over again and finished it in about five days, surprising myself, because it is an enormous book. Thick, dense, and chock full of information. McCullough’s masterwork is a gem for history nerds like myself. It is a popular autobiography that is written much like an academic book, meaning that McCullough combines popular writing with serious history and created a masterwork. No wonder it won the Pulitzer. The book covers the entire span of Adams’s life, from his early years as a humble lawyer, to his work on independence, to his time as a diplomat in Europe, his vice-presidency, the Presidency, and his old age. It is loaded with detail, most of it gleaned from Adams’s own papers and letters. Adams was a prolific letter-writer– and extraordinarily self-aware and self-critical, and because of that, we know what he thought about almost everything. (Note to important world figures: keep an interesting diary and leave someone else to write your biography.) The book is so huge that there isn’t much that I can cover here, but a few major themes. The first is the myth of the founding. Lately, all kinds of misinformation has been spread on America’s independence– and much of this is for political ends, which, would have no doubt exasperated Adams (and his friend Jefferson.) The fact is, that as McCullough’s book shows, independence from Great Britain and the founding of a new country was messy, fraught with peril, and that we got through it at all was due to not only great leadership, but also a measure of luck. The Founders were often making it up as they went along, they did not agree on many things (in fact they agreed on very little) and slavery was a massive problem already for the young country. It was not some mythical moment of a newly formed, shining America rising out of rebellion. More like it was a mess, but a mess that sorted itself out, slowly, sometimes painfully and at times awkwardly. This, I think, is important to remember. Adams was a man, who was religious, but who also believed in reason. He felt that religion and intellectual curiosity went together– there was no reason for them not to. He also believed in serving his country– he always did what was asked of him, even when he was put in miserable diplomatic situations, even with so many disparaged him, even when it seemed that everyone was against him– he put his country (not politics) first. We could learn a bit from this mentality. Politics was as ugly then as it is now. A sensationalistic press came after Adams when he was VP and later President. His own friends (Jefferson) turned on him in the name of politics. Political parties began to determine where people stood, and Adams did not like this one bit. The sections on his Vice-Presidency and Presidency are amazing for how utterly modern they feel. Some things never change– party politics remains brutal. Presidents continue to be viciously criticized for their ideas and policies. Some things have not changed one bit. His marriage to Abigail was extraordinary for its times. In fact, with would be extraordinary now. It was a marriage of equals, and without her, it is doubtful he could have achieved what he did. She was an incredibly smart woman, a brave woman, and his best friend. This is so apparent from their letters– their friendship is what carried them through life through thick and thin forever, and they survived some exceedingly trying times. Finally, Adams’s emphasis on friendship. Adams remained friends with those closest through him through thick and thin, even when his friends did horrible things to him. His relationship with Jefferson is the best example of that– as young diplomats they were incredibly close, only to have the friendship torn to shreds when Jefferson ran against Adams for President. Yet, later in life Adams forgave his friend and struck up a close, but steady correspondence with him, and they became friends once more as old men in the twilight of their lives. To me, this was the most striking part of the book. Adams clearly valued people, he valued his friends, and he maintained those relationships even when at times it was painful. This is a wonderful book– there is so much more I could say, but I would just go on and on forever. Read it. It is not necessarily easy to read, but it is well worth the effort. It is a rich exploration of a great patriot’s life.